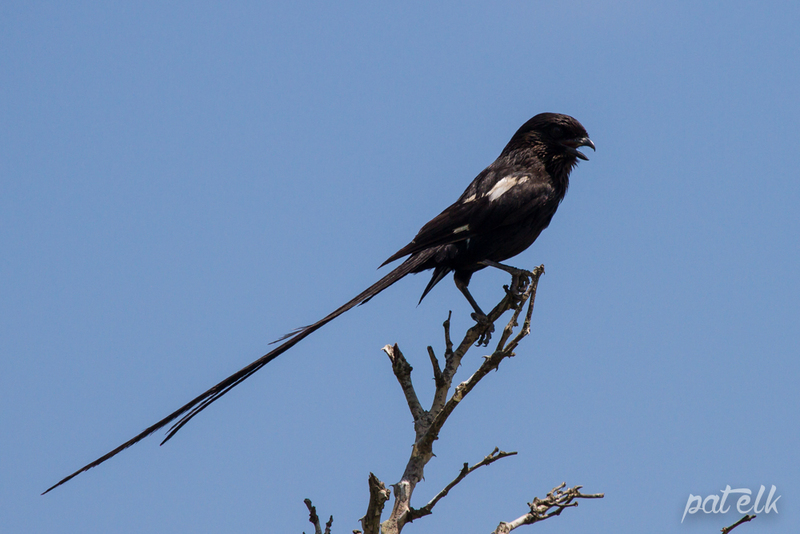 The Magpie Shrike, also known as the Long-tailed Shrike (Afrikaans name, Langstertlaksman)is a locally common resident on the Eastern parts of the Kruger National Park. Feeds mainly on insects but also small reptiles, mice, rotting meat and fruit. Most prey is taken from the ground but they can also be seen hawking insects. A cuplike nest is built 3 – 5m up in an acacia tree. Incubation is by the female only and she will be fed by the male and other members of the group. The nestlings are fed by all group members.